Trypsin Neutralizing Solution is specifically formulated (5% FBS in phosphate buffered saline without calcium and magnesium) to rapidly inactivate the concentration of trypsin found in the Trypsin-EDTA for Primary Cells solution (ATCC PCS-999-003). Please refer to the product sheet supplied with each primary cell for details as to use, or contact ATCC Technical Service.... Trypsin Neutralizing Solution is specifically formulated (5% FBS in phosphate buffered saline without calcium and magnesium) to rapidly inactivate the concentration of trypsin found in the Trypsin-EDTA for Primary Cells solution (ATCC PCS-999-003). Please refer to the product sheet supplied with each primary cell for details as to use, or contact ATCC Technical Service. 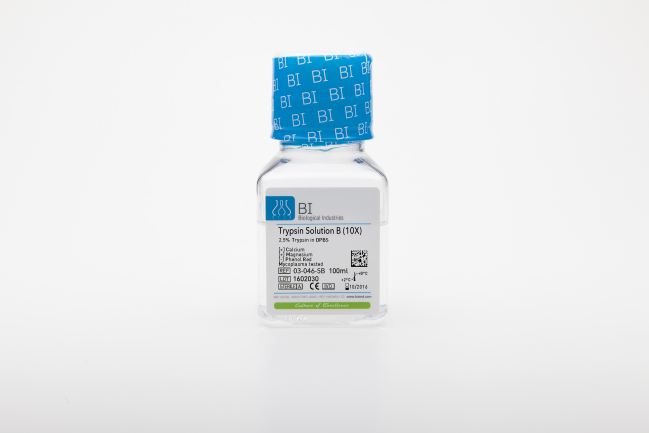 Trypsin-EDTA Solution 1X 0.25% Trypsin and 0.001% EDTA in Dulbecco’s Phosphate Buffered Saline Product Code: TCL014 Add Trypsin or Trypsin EDTA solution to the side of the flask opposite the cells. The volume should be sufficient enough to completely cover the monolayer of the cells. 5. Rock the flask to ensure that the dissociation solution covers the cell sheet.... Sufficient Oligo R3 slurry should be added to make the columns ~5 mm long. It is important to have a good seal on these columns, as column breakthrough will block on-line liquid chromatography systems. Sufficient Oligo R3 slurry should be added to make the columns ~5 mm long. It is important to have a good seal on these columns, as column breakthrough will block on-line liquid chromatography systems. Tissue sections (5-7 µm thick) are cut from paraffin-embedded blocks on a microtome and mounted from warm water (40°C) onto adhesive microscope slides. Sections are allowed to dry overnight at room temperature or 40°C. 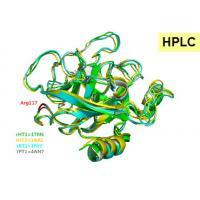 0.25% Trypsin/0.53 mM EDTA in Hanks Balanced Salt Solution without calcium or magnesium. For dissociation of cell monolayers. Trypsin-EDTA solution is suitable for most but not for all adherent cell lines. For cell line-specific information, please go to the appropriate product page on the web, refer to the product sheet supplied with the cell line, or contact ATCC Technical Service.